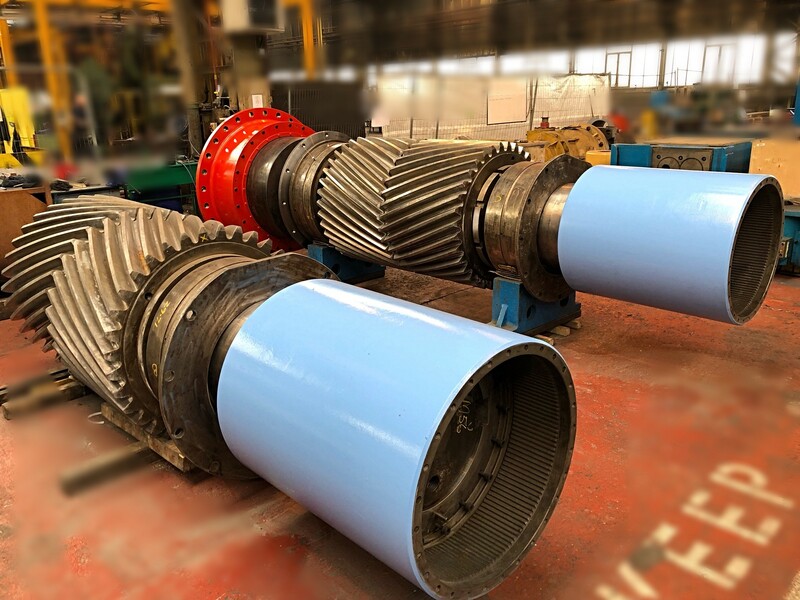 Tinsley Bridge recently completed a major refurbishment contract of two large mill pinions for the steel industry. The top and bottom pinions have a combined weight of 31 tonnes and are destined for the UK’s largest steel plant. The finishing stand pinion gears have been stripped, cleaned, fully inspected, refurbished and re-assembled ready for installation. Extensive diagnostic inspection work included NDT, alignment checks, contact marking and full dimensional checks. Using the inspection results many components were subsequently remanufactured by Tinsley Bridge to restore the gear pinions to “as new” condition. Following the demise of Davy Markham, Tinsley Bridge has recruited key ex-Davy employees to create a specialist Steel Mill Refurbishment unit with vast experience in the overhaul and refurbishment of steel processing and quarrying equipment. Tinsley Bridge capability includes Design, Reverse Engineering, Strip & Inspection, NDT, Fabrication, Reclamation Welding, Heat Treatment, Machining, Pressure & Load Testing, Skilled Fitting, Painting, Packing, Site Installation and Maintenance Services.